Home » BJJ Gis & Gear » Do white belts have to wear only white or blue gis? Before buying a gi, make sure your know your school’s dress code. They may require you to buy and wear the school uniform. 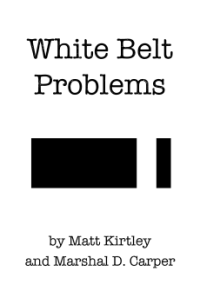 Some academies require white belts to wear white gis, but allow higher ranked students to wear blue or black too. White and blue are the standard two gi colors. Black is common too. These three are the IBJJF approved colors, so they are the most common. Your safest bet is getting a plain white gi.